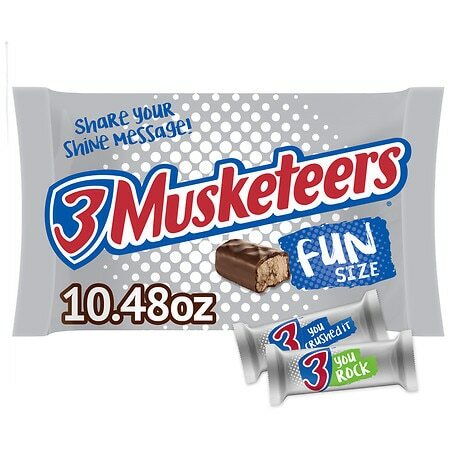 3 Musketeers Fun Size Bars - 10.48 oz. Whipped up, fluffy chocolate-on-chocolate taste 45% less fat than average of the leading chocolate brands. * 70 calories per pack Mars real chocolate Kosher dairy *6 g fat per 45 g serving vs. 11.5 average for leading chocolate brands.